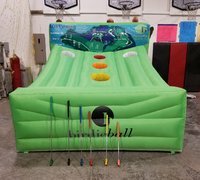 This Inflatable interactive game is the Best way to practice your golf shots in Graham WA, from the privacy of your backyard. With holes running down the center of the "green" and sand traps located on either side of the most difficult hole, you determine the number of points scored for each of the colored holes. 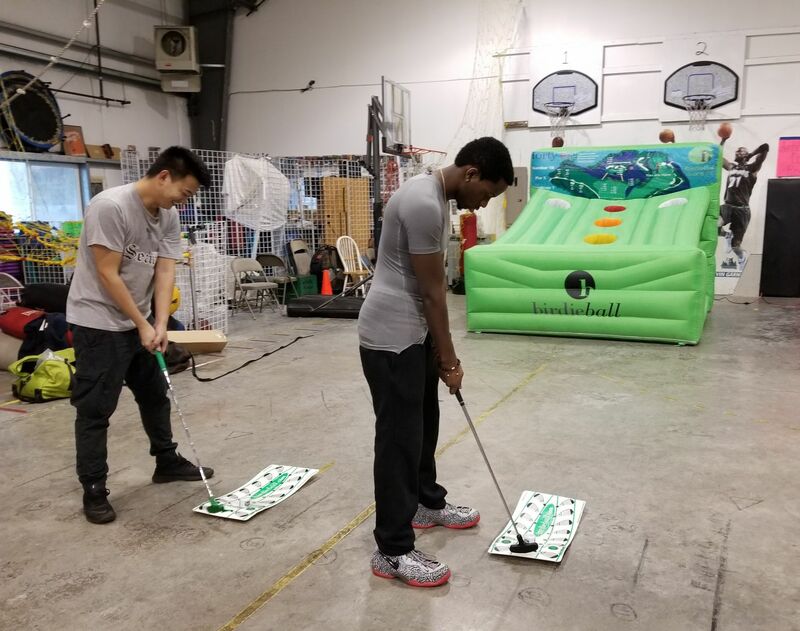 Whether you run a competition, or simply let guests take practice shots,’ this game will garner lots of attention and light up the eyes of a true golf lover. Your family and Guests will love this Inflatable game. Great for any and every event. 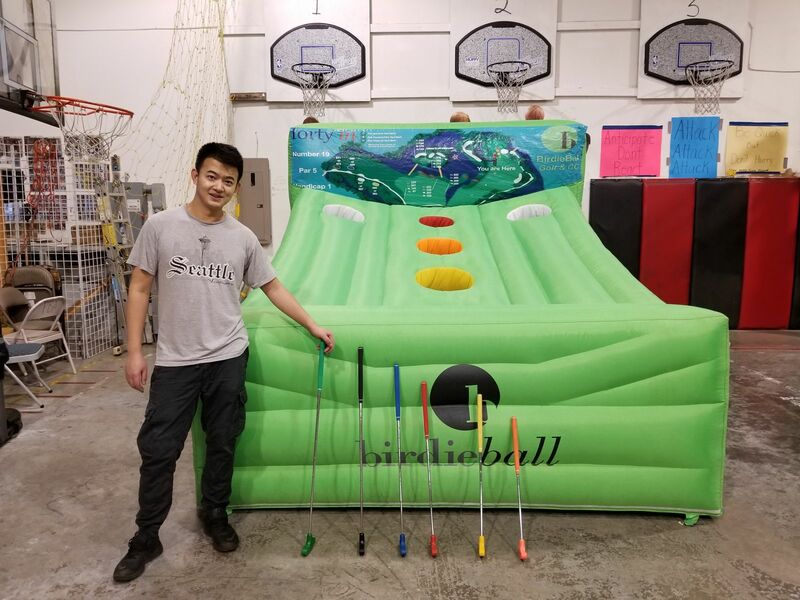 Relax and watch your guests have fun playing Birdie Ball. Need to round out your event with some Tables, Chairs, or Canopies, to watch the competition no problem. Do you have a budding PGA star in your family? Terrific way to practice Golf and play games with your friends from the privacy of your yard! Great fun for all ages and skill levels! Challenge your family, friends and co-workers. Time for some fun competition! We can provide you with everything you need to put on a unique and ridiculously fun party.